I recently bought adafruit 7" display to be used with my PI3 to see if it will work. Well, it sort of works. The screen comes up everything is displayed but the resolution is screwed up. I have tried several things, but none of them helped. Here is how my display looks like. I tried to adjust the resolution to get rid of the white bar in the config.txt, but all it does is shrink the area that is active making everything look so tiny. However, the white bar never goes away. Being lost and at the end of all that I can do I enabled the experimental GL display driver in the raspberry pi configuration. This expanded the screen to the actual size of the display such that I can no longer see the taskbar and touchscreen doesn't work. In other word, taskbar is somewhere all in the bottom of the screen beyond the edge of the Display. I came across an information that I have to adjust the resolution in the config.txt to fix this, but I don't know how. Any help will be greatly appreciated. 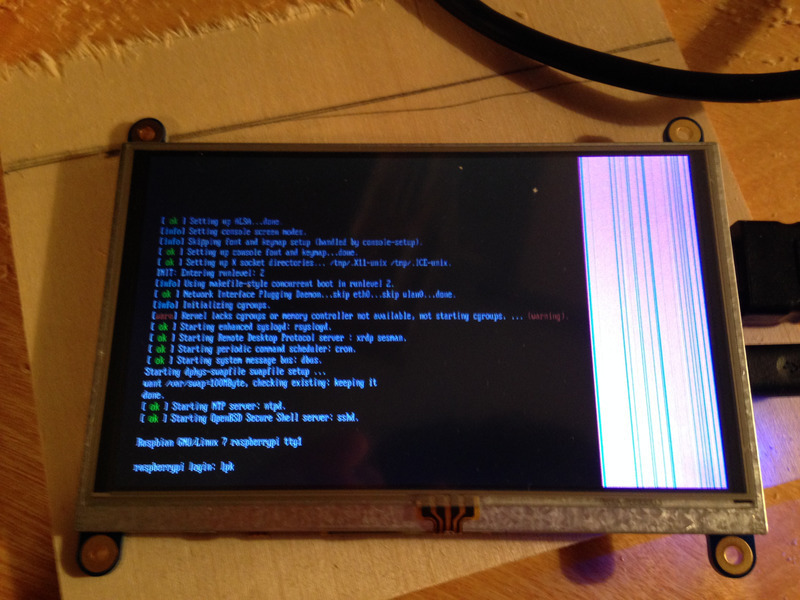 Browse other questions tagged pi-3 display touchscreen config.txt adafruit or ask your own question. HDMI worked in another display, stopped working now on a LG!